In a bar in the Netherlands, the most expensive beer is Tsingtao Beer. In Mexico, the mobile phone most people use is Huawei. So, one can understand that the products you come across overseas nowadays are no longer just labeled "made in China," but are instead quality brands that China bestows upon the world. To mark the second Chinese Brands Day on May 10, the Global Times and Tsingtao Beer launched a global campaign called Meet up with Chinese Brands Abroad for international students worldwide. 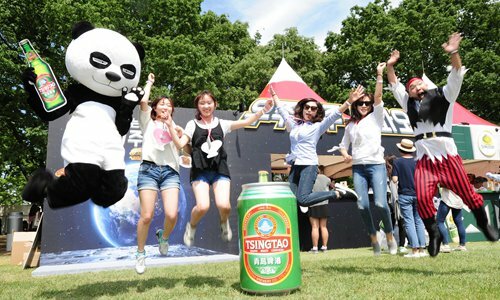 As long as they can tell a compelling story and take a captivating photo of Chinese brands sold or promoted around the world, participants will have a chance to win a free ticket, plus accommodations and airfare, to the 2018 Tsingtao International Beer Festival in Qingdao, Shandong Province. Anyone can participate as long as you are or were an international student in China or overseas. All you have to do is send the most impressive story and photo of a Chinese brand that you came across anywhere to 876634938@qq.com, or visit the official Weibo, WeChat, Facebook, Twitter or Instagram accounts of the Global Times, Huanqiu.com, or Tsingtao Beer before July 31. Three candidates will be selected from all the contributors and get invited to the festival where they will also receive special gifts to bring back home. The competition is already off to a great start. 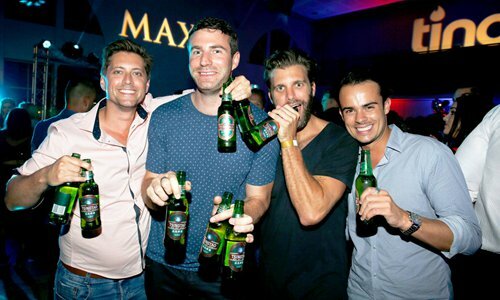 "Never have I thought that I could be able to get Tsingtao Beer in supermarkets outside China. Every time I saw a brand from China, I felt proud. Although as an imported beer brand, it is rather expensive out there, people still buy it," said Eric, a Chinese student studying at New York University on WeChat. Meanwhile, Zhang Jiani, a Chinese student studying at Seoul National University, posted her love for the Chinese beer. "Be it at bars or restaurants, my favorite beer is Tsingtao Beer, and I do believe that many South Korean students love it," she said on her WeChat. So, get snapping. This is an opportunity you would not want to miss.